The Rito was designed with both style and functionality in mind. These smart trikes go through several stages to ensure that they grow with your child over time and last for many years to come. 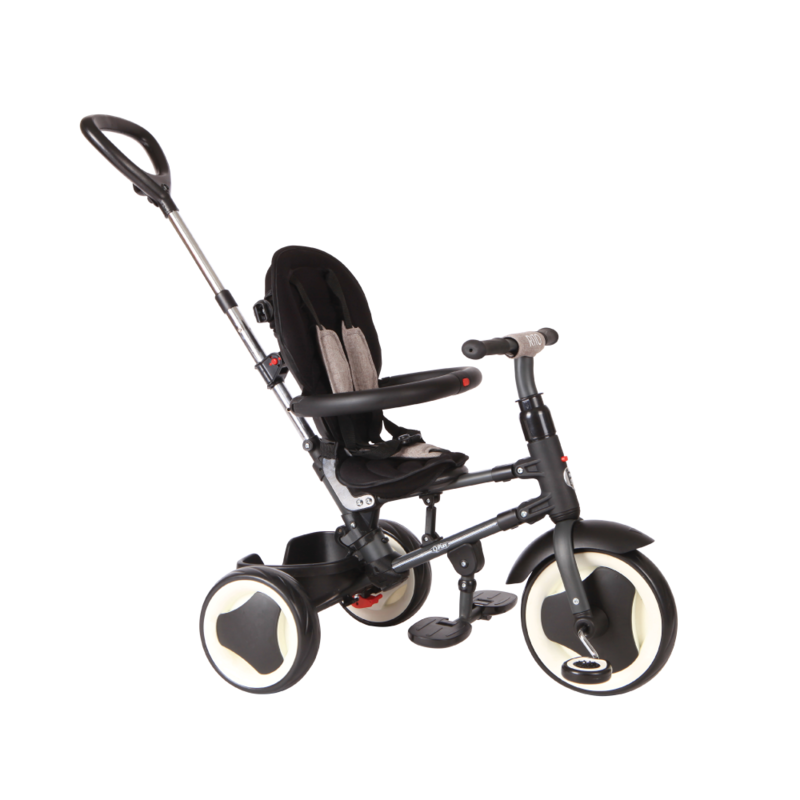 Multiple footrest positions, a reclining backseat, parent control handle, and free when and handle function assure that child and parent can both be comfortable using the trike from as young as 10 months to 5 years of age. Unlike many convertible stroller/trikes, the Rito also easily folds for easy transport when not in use by the child. Convertible Stroller/trikes are fun, effective, and long lasting but parents have long had questions about portability. The Rito is the answer to this annoying problem. Simply fold and unfold the Rito trike in a matter of seconds, fit in your car trunk or carry it on public transit and even on flights. The process is so simple, many of our customers even fold up the trike when using stairs or escalators. The backrest can be adjusted t two separate positions for optimum comfort. Parents have total control with the adjustable and removable parent push handle. A large removable canopy can also be used at this stage to shield the child from wind, rain, and harmful sun rays. Children can comfortably place their hands on the safety guard and feet on the foldable footrests. 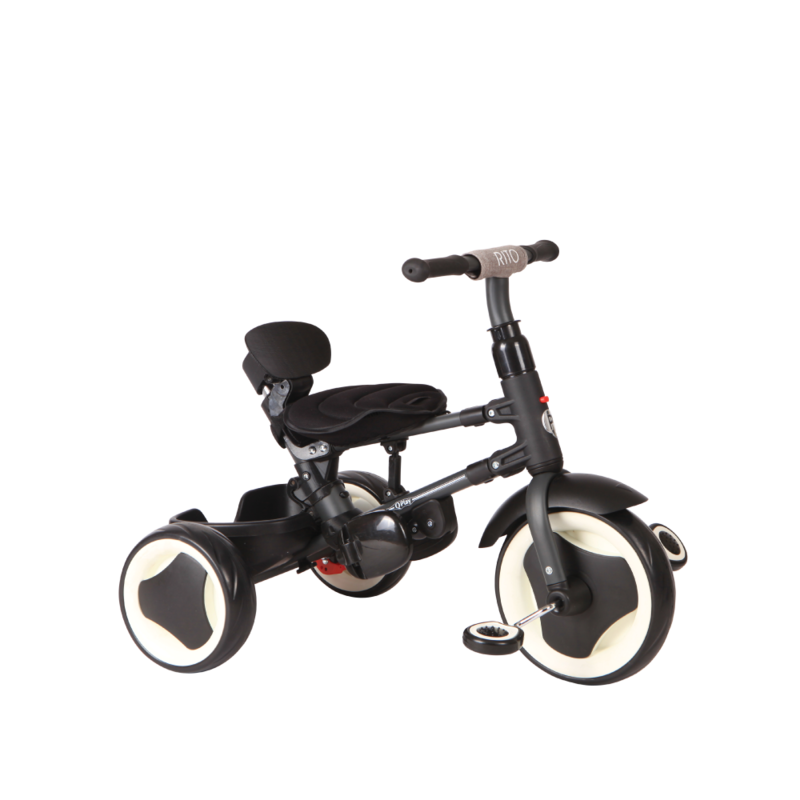 Children can now place their hands on the handle bar and feet on pedals, but the parents can retain control with the free wheel and free handle clutch engaged. Your kids are free to move the handlebar and the pedals without affecting the movement of the trike. If the child’s legs are too long for the footrest, they can easily be folded out of the way. The canopy can also be removed to give your child full view of their surroundings. 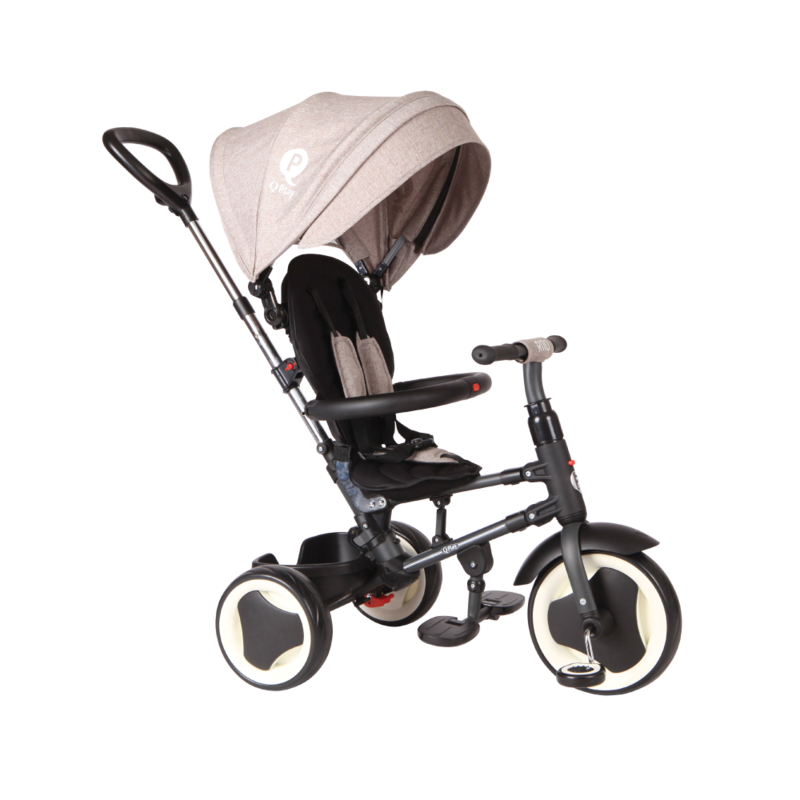 Now that your child is growing and you feel confident in letting them explore the world around them, the parent push handle can be easily removed, free handle and wheel functions disengaged, and footrests folded away to provide complete control and freedom to the child. Transforming into the trike stage is easy and quick, and you can always transform back through the stroller stages as needed. PICK YOUR FAVORITE COLOR AND GET YOUR TRIKE TODAY!